Georgia Bulldog broadcasting legend Larry Munson passed away Sunday at his home in Athens, Ga. Munson, who died due to complications from pneumonia, was 89. Needless to say, I have already missed hearing Munson on the radio. He finally retired completely two games into the 2008 season. That was after doing just home games for Georgia in 2007. After not hearing his usual ‘growl’ on the air for more than three seasons now, I have become accustomed to the loss of another true legend in my chosen field. In 1966, Munson left Nashville and moved to Georgia, where he did Georgia football and basketball games, as well as doing play-by-play for the Falcons and the Atlanta Braves. His unique style and complete partisanship to his teams made him an instant success. In 1975 as I was leaving college and taking my first full-time job in broadcasting at WDXB radio in Chattanooga, my mentor at MTSU, the late Monte Hale, told me I should get a bunch of Larry Munson tapes, do my games just like he did and move out west. “Nobody’s ever heard of Munson out there, so you wouldn’t be accused of copying him.” For some reason I chose not to heed that advice, though I did listen to everything else Monte told me to do. With the retirement and now the passing of Larry Munson, another great chapter in sports broadcasting closes. There was no one else like him. Former Tennessee broadcasting legend John Ward refused to ever say ‘we’ or ‘us’ in referring to the Vols on the air, yet Ward was cut from the same cloth. You knew who he was for with just the sound of his voice. There was always a mutual respect between John Ward and Larry Munson, though one’s blood ran orange, while the other ran deep Georgia red. With apologies to the college sportscasters of today, there will never be another Larry Munson. Love him or hate him, he made a lasting mark on his profession. Randy Smith has been covering sports in Tennessee for the last 42 years. After leaving WRCB-TV in 2009, he has continued his broadcasting career as a free-lance play-by-play announcer, author and is also a media concepts teacher at Red Bank High School in Chattanooga. He is currently teaching an "Intro To Sportscasting" class at Red Bank, the only class of its type in Tennessee. Randy Smith's career has included a 17-year stint as scoreboard host and pre-game talk show host on the widely regarded "Vol Network". He has also done play by play of more than 500 college football, basketball, baseball and softball games on ESPN, ESPN2, Fox Sports, CSS and Tennessee Pay Per View telecasts. 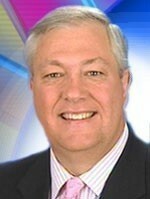 He was selected as "Tennessee's Best Sports Talk Show Host" in 1998 by the Associated Press. He has won other major awards including, "Best Sports Story" in Tennessee and his "Friday Night Football" shows on WRCB-TV twice won "Best Sports Talk Show In Tennessee" awards. He has also been the host of "Inside Lee University Basketball" on CSS for the past 10 years. Randy and his wife, Shelia, reside in Hixson. They have two married children (Christi and Chris Perry Davey and Alison Smith). They also have one grandchild (Coleman).